A historic inn, a Hilton property and an urban-styled retreat are a selection of the properties enhancing Zurich's hotel scene. 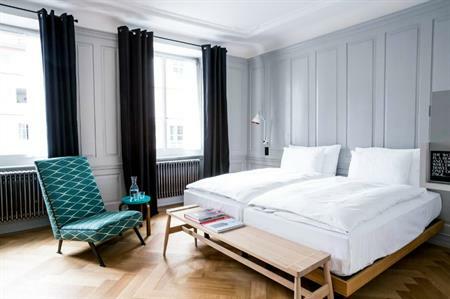 The Marktgasse Hotel: Located on the site of a former inn, this boutique property opened in Zurich’s Niederdorf district at the end of last year and offers 39 individually-decorated rooms. The ground floor houses the Baltho restaurant and bar and a library seating up to 14 and a salon area can be used for meetings and events, catering for up to 20. The two areas can be combined, offering a space for up to 50 for events. Hotel Atlantis by Giardino: Famous faces such as Steve McQueen, Shirley Maclaine and Muhammad Ali have all previously set foot in Atlantis by Giardino hotel, which reopened in December following an extensive renovation programme. Styled as an urban retreat, the 95-room hotel is situated in the western part of the city and offers event space for up to 200 for cocktails. Hilton Garden Inn Zurich Limmattal: This property, expected to open this year in Spreitenbach, a growing commercial zone within the greater Zurich area, marks the debut of the Garden Inn brand in Zurich. The 120-room property will include a restaurant, bar, fitness centre, meeting and boardroom space.